With the warmer weather finally here, it’s a great time to get back to lighter meals and exercise. I’m pretty sure the long, cold winter made me want to stay in, stock up on food and just hibernate. So, I’m ready to enjoy this time of year! Eating better doesn’t have to mean sacrificing good food and taste. There are so many low-fat, low-sugar type meals that are good for you AND will satisfy. 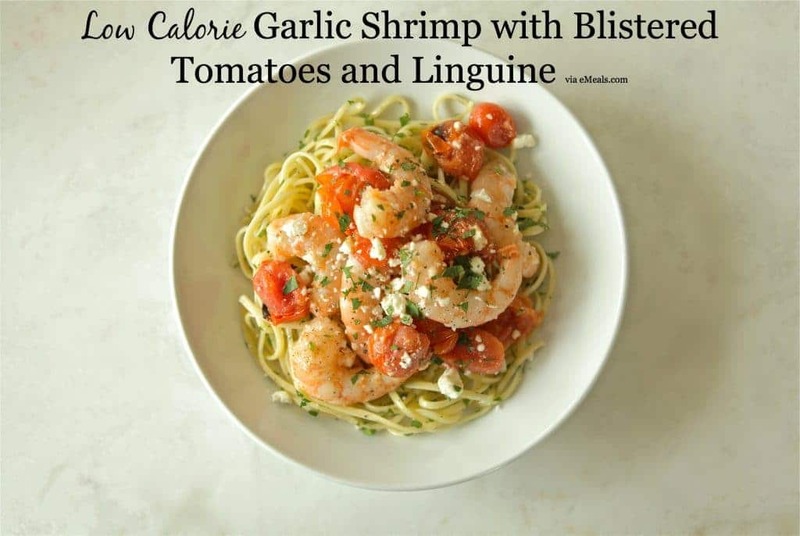 This yummy Low Calorie Garlic Shrimp with Blistered Tomatoes and Linguine fromeMeals is one of those recipes! 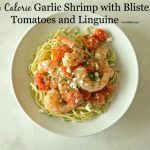 Garlic Shrimp with Blistered Tomatoes got the highest mark in the eMeals test kitchen, and it comes together in just 15 minutes. Broiling the tomatoes brings out their natural sweetness to make a rich, buttery sauce for the shrimp. So yummy! 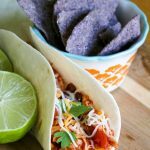 I love eMeals because they have recipes for real families that help make mealtime enjoyable rather than a time of stress. 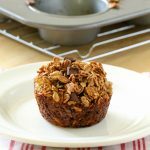 You can check out the eMeals blog for more wonderful recipes and sign up to get meal plans sent right to your inbox each week! 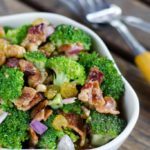 Pick a type of eating plan that works for your family – classic meals, paleo, clean eating, kid friendly, gluten free and more! 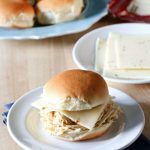 Check out eMeals for more info and plans to get started! Meanwhile, toss tomatoes with 1 tablespoon oil, ¼ teaspoon salt and red pepper on a rimmed baking sheet. Broil 4 to 5 minutes or until tomatoes burst. Melt butter in a large skillet with remaining 1 tablespoon oil. Sprinkle shrimp with ¼ teaspoon salt; saute shrimp and garlic 2 to 3 minutes or until shrimp turn pink. Toss shrimp with tomato mixture. Divide pasta evenly among 6 shallow bowls. Top with shrimp and tomato mixture. *Disclosure: I am an eMeals blogger – so the links above are affiliate links.